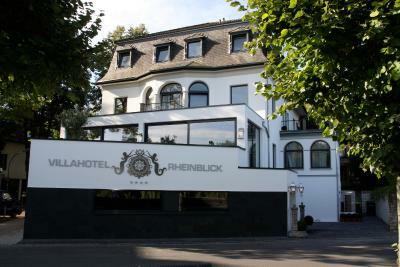 Lock in a great price for Villahotel Rheinblick – rated 8.7 by recent guests! Friendly staff. Nice view of the river from the breakfast room. Lovely setting on the river! Staff could not have done more to make us happy. We wished we could have stayed longer! Location, overlooking the river, and parking just outside. This hotel is extremely comfortable and clean. The views over the river were amazing. There was an extensive breakfast selection and the offerings were tasty. We would loved to have had a meal at the restaurant but alas this wasn't available and we had to go elsewhere. The location in terms of its views and serenity can't be surpassed. It is, however, a bit of a hike into the centre of the city by tram. Taking a car into Cologne isn't really a viable option. Regardless, we would have been just as happy to stay at the hotel. We loved it. 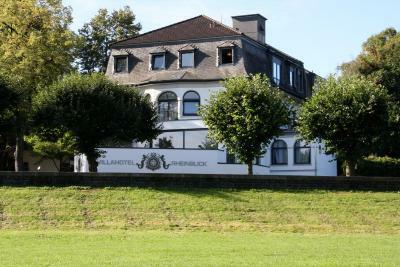 The location is great, the hotel is along the Rhine outside of Cologne. Plenty of space to part and quiet enough for a good sleep. The room was spacious and there was a coffee machine and fruit offered in the room. The bathroom was good. The breakfast room was beautiful and was seeing over the Rhine, it is a pity I could not spend more time for breakfast. 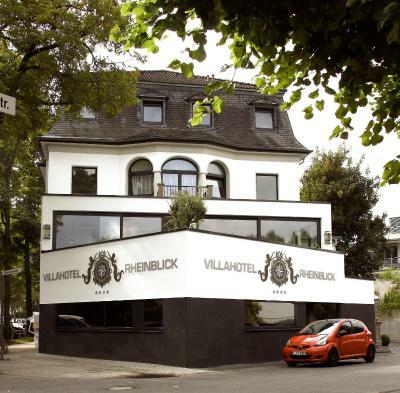 Villahotel Rheinblick This rating is a reflection of how the property compares to the industry standard when it comes to price, facilities and services available. It's based on a self-evaluation by the property. Use this rating to help choose your stay! 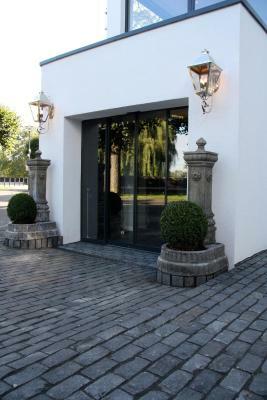 This stylish villa is located on the River Rhine, 3.7 mi from Cologne Cathedral and the Kölnmesse Exhibition Grounds. 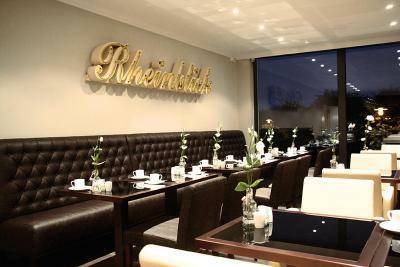 Villahotel Rheinblick offers free WiFi and an à la carte restaurant. 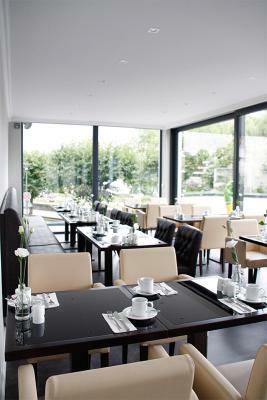 Rooms at Villahotel Rheinblick are air-conditioned and elegantly furnished. All rooms come with a flat-screen satellite TV, a desk and a private bathroom. 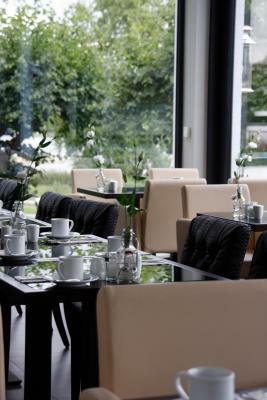 At Villahotel Rheinblick you will find a 24-hour front desk, a terrace and a bar. It also offers a shared lounge and luggage storage. Rodenkirchen Underground Station is a 15-minute walk from the hotel. The M4 motorway is only 1.2 mi away. 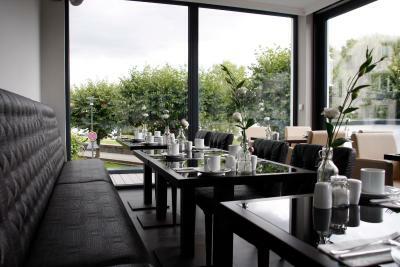 When would you like to stay at Villahotel Rheinblick? Elegant, air-conditioned room featuring a flat-screen satellite TV, free WiFi and a private bathroom. 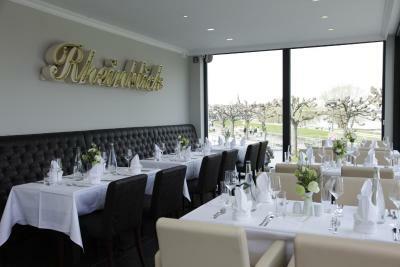 House Rules Villahotel Rheinblick takes special requests – add in the next step! ATM card Debit card Villahotel Rheinblick accepts these cards and reserves the right to temporarily hold an amount prior to arrival. Villahotel Rheinblick accepts these cards and reserves the right to temporarily hold an amount prior to arrival. Room is small and not laid-out well for comfort. Small rooms can be fine if thoughtful about the use of limited space. Not a single chair with a back in the room. Breakfast was well-below the quality of similar places I've stayed in in Germany. Proximity to the river is a plus and a minus. 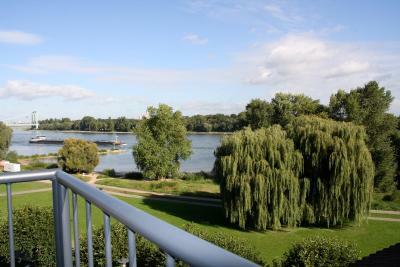 Plus: Walking paths near the river (albeit not an especially scenic part of the Rhine). Minus: Lots of very loud, drunk teenagers gather between the hotel and the river on weekends, creating lots of noice in the hotel room. Also, walls are thin and room-to-room noise is certainly present. Finally, parking is available, but only on the street. At times, that can be a challenge. 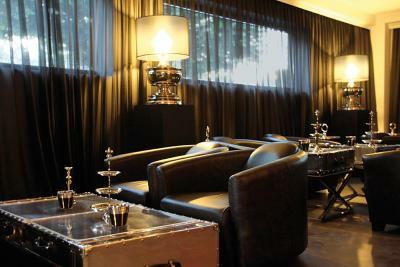 In sum, an OK place with helpful staff in a nice part of (south) Koln, but I won't stay here again. There is no restaurant in the hotel, but a great one (Aura) literally next door. The room temperature was a bit on the cool side and I couldn't regulate it. 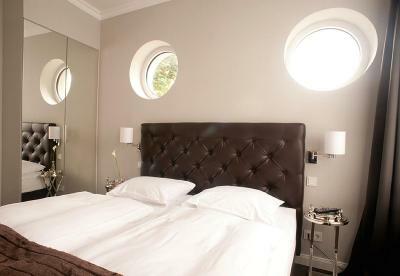 Lovely modern and spacious rooms which are well equipped; excellent breakfast. 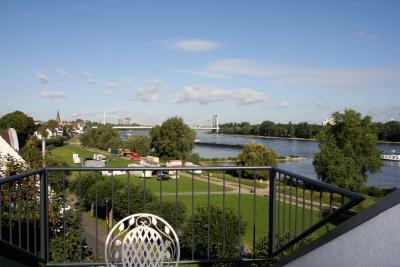 Wonderful setting right on the Rhine, ca 8 km from Cologne city center. The first room I was offered was very small and had no desk to work with a computer. After I complained at the reception I got another room. 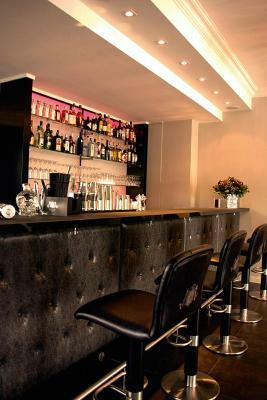 For what the hotel offers it is quite expensive compared to hotels of similar quality and service. Very friendly and responsive staff, they really care. A perfect barman!